Dedicated to everyone who cried wolf. Guess the Great Firewall of China doesn’t filter Microsoft content, yet. Update: In the spirit of the moment, a Microsoft insider by the name of “Brooks” have also shared this short video of an even newer version of Windows, never before seen by the public. It’s authenticity is hard to disprove. I don’t see any visual updates to Media Center, that’s exactly what is in Windows Vista. @Chris: Not looking hard enough. There is no “start” text, the selected category text is considerably larger, and it shows more categories vertically. Whereas Vista only shows 5 categories (2 above and 2 below your selected category), this shows 6 (4 above and 1 below). I see they still don’t have any branding on the bootscreen even though its got a aurora background. The whole point of all the complaints about the bootscreen were to have it at least say Windows Vista on it. It is not necessary for Great Firewall of China to filter Microsoft content, and extremely unlikely to do so in the future. Such content has nothing to do with politics (though seems GF filters yours, don’t know why), and because of the importance of MS and the fact that MS is already well known in China (maybe in very country in the world) filtering it would cause problems. @Heran: Sarcasm just ain’t what it used to. Long, I had no idea you were becoming such a conspiracy theorist, of sorts. Or is it just a ploy to get traffic? @Long – Non standard resolutions are killers. 😉 Sorry, I was thinking more visual effects in my mind, while ignoring what I actually typed and saw. Wow, they already have a Windows 8 build. SteveSi is really working them over there. On the pictures it looks real, espacially the system tray. That can’t be hacked, or someone have spend days on it. But it’s hard to photoshop it. The video doesn’t look real. Especially when he is in the Media Center. “Windows Vista build 6.1” it shows. Fake. Microsoft would’ve changed that in Windows 7 too if it was real. Windows 7 is just a codename Vistaus.. Doesnt mean it will be 7.0.. I am really impressed with the UI improvements on the W8 version. Maybe the “insider” can give us a look at the “Windows Vista build (info)” on the next generation package. I believe!!! @ EricR Conspiracy theorist? This could be the first images ever of Windows 7, and if i understand it correctly Windows is exactly what this blog is about. @Long: Blogging about some of the things regarding Windows 7 right now is just fueling the fire for faked content. At this point, we know Windows 7 is simply M1 and all anybody cares about here is the UI and those changes won’t happen until M3.. so who really cares. By the way, you never replied to my email. Would have been better to get a look at the new taskbar tricks and the new control panel dialogs. @Vistaus: to be fair, every build of Windows has started out with a lesser minor version number. XP was 4.1 in its earliest form. You can’t start out with Windows 7 build 7.0 for an M1 build.. it doesn’t build up to much then does it? Yes Cloud.. It was a joke..
@Long: don’t you think that you’re leaning out the window quite a bit lately? I should say “the Windows”… funny haha. It’s just a build of Vista Service pack 1 with a re-skin to make it look different. You can tell by the version number. Windows Vista is version 6.0, and this version in 6.1 thus being service pack 1 to Windows Vista. sigh…. lol Windows 2000 5.0 XP 5.1 Server 2003 5.2? Win 7 can easily be 6.1 because like i said above win 7 is just a codename right now. am impressed with the speed. the tester is using a normal T5500 core2 with 2 gb ram. vista shouldn’t be this fast on a pc like this but this edition of windows 7 is pretty fast to me, kinda reminded me with xp. Pingback: Microsoft News Weblog » Blog Archive » Windows 7: The Anti-Vista? Eric, If SP1 is coming out in March. Then there is a big difference in where they are in development between SP1 and Win 7. And why not post about the rumors and initial ideas about a new OS. Its part of the fun. Its the people who take M1 screenshots to seriously that ruin the fun. Pingback: Will Windows 7 Satisfy Users? Cloud02, it’s the new implementation of MS’s new 3D UI, projected onto a post-it note. Looks darn real to me. How are they doing it? So there is a nice boot screen, what is so big about it? It’s only M1 guys, they’re not going to increment the kernel version for awhile especially since it’s built on the NT6.1 kernel which hasn’t even been finalized yet. I see this more as Vista modified by some registry hacks. Why do people want to speculate such a lot and create hype on Windows Seven? Didn’t we learn something from Vista? I request Long to consider the importance of Microsoft products and unless given anything out from Microsoft, let us not speculate and create hype on upcoming products. Its just not looking good. @Ice man. Haha. Lol. ‘iDiots and freeTards’ – I like that. Haha. These comments test my patience. Thanks for the video Long. Thank you Redfish!! Here here. I think this video is fake. This look like Vista. Beside kernel 6.1 is a vista sp1 kernel. There are no changes i mean minwin and etc..Where is new kernel, new system files?, new sidebar in windows explorer. I really don’t see anychanges except the 7 !! but yes the video does not report the sidebar in windows explorer… and the minwin, was already in Vista.. I think .. so you could not see any difference about this ! I think you all underestimate how much can be changed with skins and resource “hacking” tools. It seems that the kernel is almost the same as in Windows 2008 RC. I dont think they changed the kernel in SP1 so Im pretty sure they are using the RTM kernel. Anyone who believes that he actually has windows 7 running is a complete idiot. 50 seconds into the first video it CLEARLY states that the version of windows running is 6.1. The 6 is vista’s version number (XP was 5 FYI) and the 1 means it’s the first revision (service pack 1). Are you a moron G..
Yo, people! 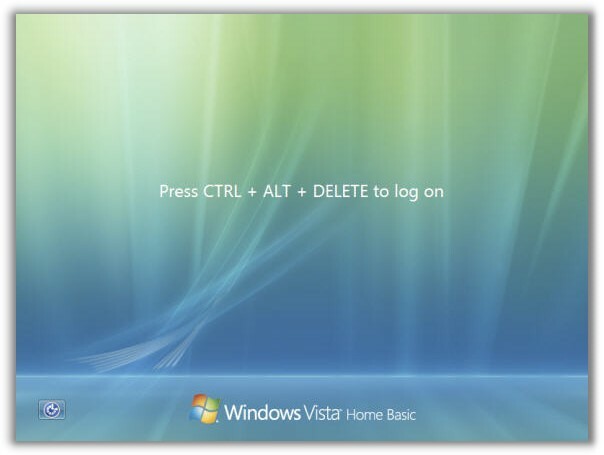 Has anyone seen a Windows Vista logon screen on a computer that’s joined to a domain? DUH! Brooke’s video looks exactly like that! Plus, what’s with the damn 8 stuck with tape on the screen? Also, the first video…you can easily modify Windows “Vista” with Windows “7”. i think people are getting the version number confused with the codename. Windows 7 is the codename. as with previous versions, MS begins building the next iteration using the latest of the existing code base, in this case it is Vista Service Pack 1 or Windows Server 2008. that is why the build number appears as 6.1.xxxxx because that’s where they’re starting from. Vista wasn’t version 6 until it RTM, and if you recall it was 5.x right up until the very last moment. Windows 7 is a codename, not a version number. Ill start to care next year. Well the programmer who did this is very good (not quite, medium knowledge maybe) it’s all windows 7 and all but the funny thing that all seem to argue on, the look of WMC, is that it is exactly how i have it on Vista and if you watch carefully 😀 the information in WMC is the only think he hasn’t edited, it is written Windows Vista, but good try to make a fake windows 7 that there is no info on yet, maybe after another year or so. Again good job on the hacks to bad you missed WMC and you actually filmed that it is Vista. That is not Windows 7. =) Next year we’ll release on time and show you what she can really do. Ahhh! The wonders of Photoshop and Image Ready. All of this can be don by someone with good skills on both programs and screenshots of Vista. I actually managed to do so myself… Except My version was Windows Crappy, where the boot screen said: “Cause Microsoft just doesn’t care.”, as a joke to one of my friends who praises Vista here and there, where I think it is the biggest dissapointment in Windows History. This is a video… not a photo/picture. I think your comment is the biggest dissapointment in this thread’s history. Your mumma agrees. I don’t believe this is real. How could this one person have a copy before so many other people? And having a look at System, it shows the build version. Can anyone clarify if that’s an accurate legit build version?